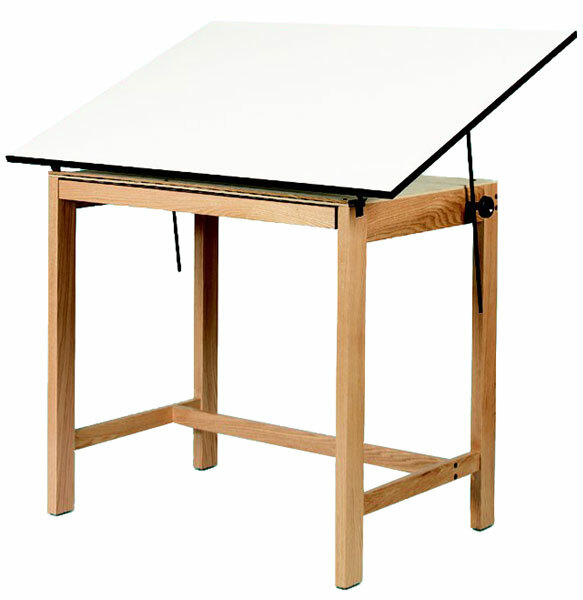 This 37" tall, four-post drafting table is constructed from the finest quality solid oak using through-bolt hardware to ensure it will stand up to years of use. Available in a walnut finish or with a white melamine top. 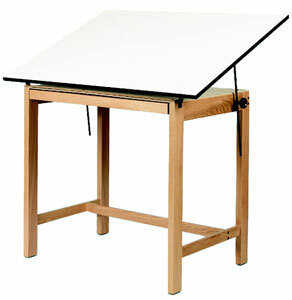 This table features a solid oak base finished with two coats of clear varnish for added protection. The top is crafted of ¾" (2 cm) warp-free white melamine.